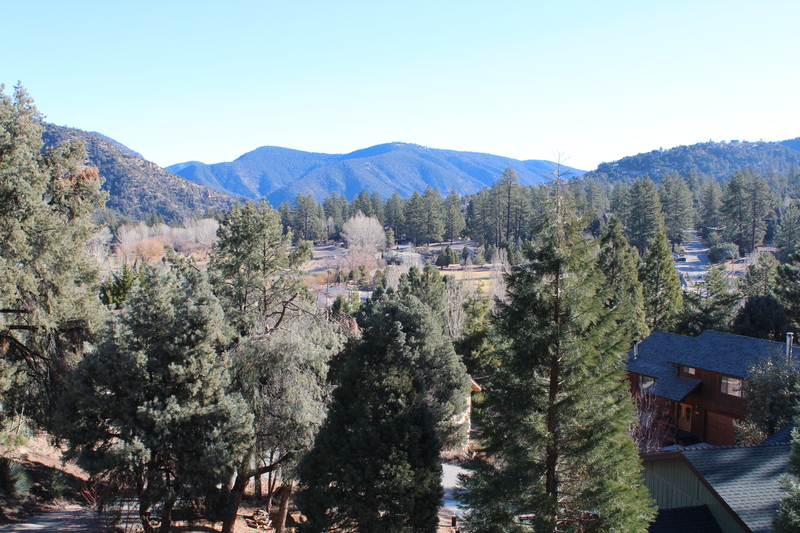 Earlier this week, our family and the Burlings managed to sneak away from the city for a few days to the Pine Mountains. Denise and Shelley often catch up together during each week, but this was the first time that both our families could spend some time together since I started Seminary. 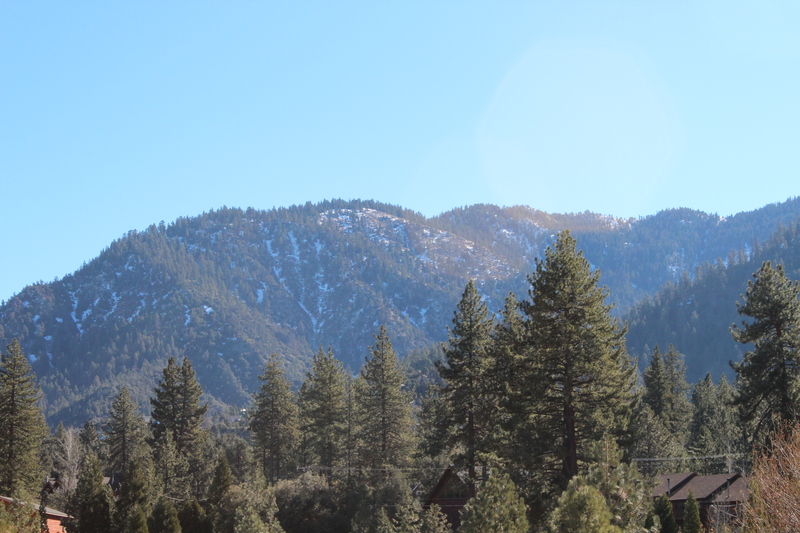 The Pine Mountains is approximately 1.7 million acres of pine forest, an hours drive north from our house in Newhall. 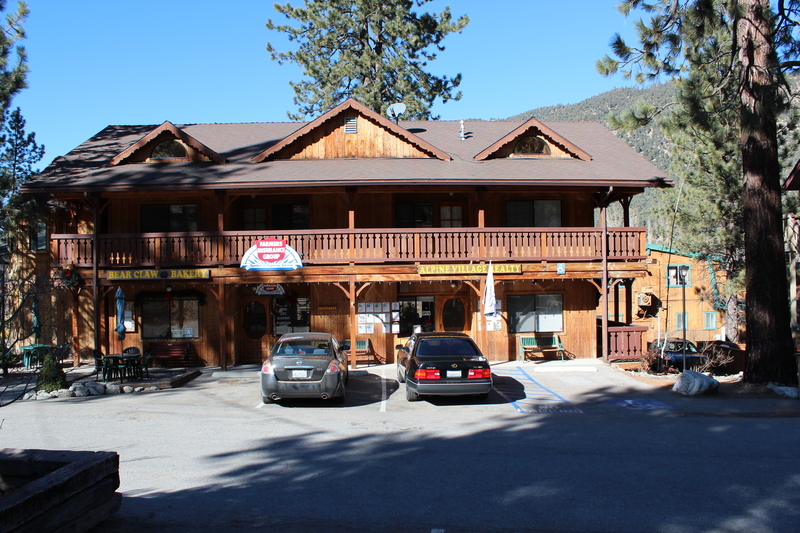 It is home to all sorts of animals and wildlife – with the emphasis on WILDlife. It was strange to see signs around the small township reminding residents to not leave their small pets and children unattended due to the bears, mountain lions and coyotes. Needless to say, this wasn’t the place for explorative bush walks. Fortunately for us, it is not bear season as they usually sleep during the winter months. 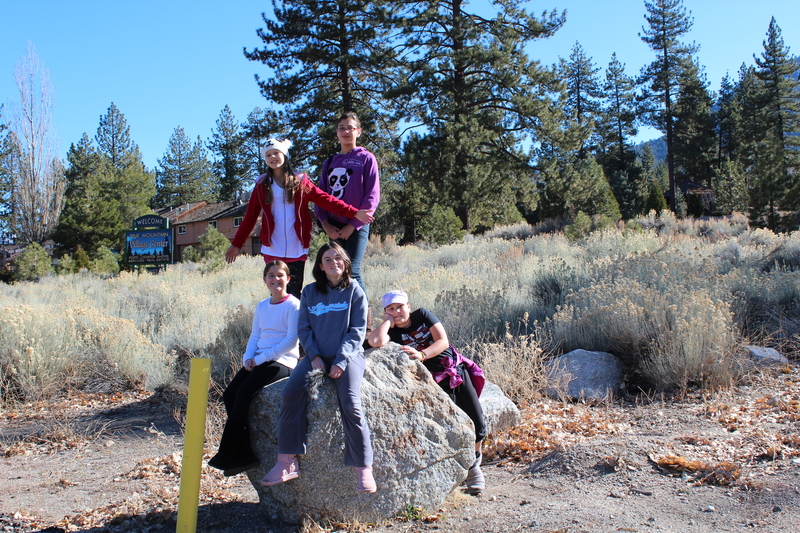 The Pine Mountains is an area that normally gets some snow and being winter, we thought that we would see some, but the weather in Southern California is really quite special and something we are growing to like very much – all year sun. The evenings and early mornings got very cold (20 degrees Fahrenheit), but by mid-morning the day soon warmed up to very comfortable levels. So much for snow! 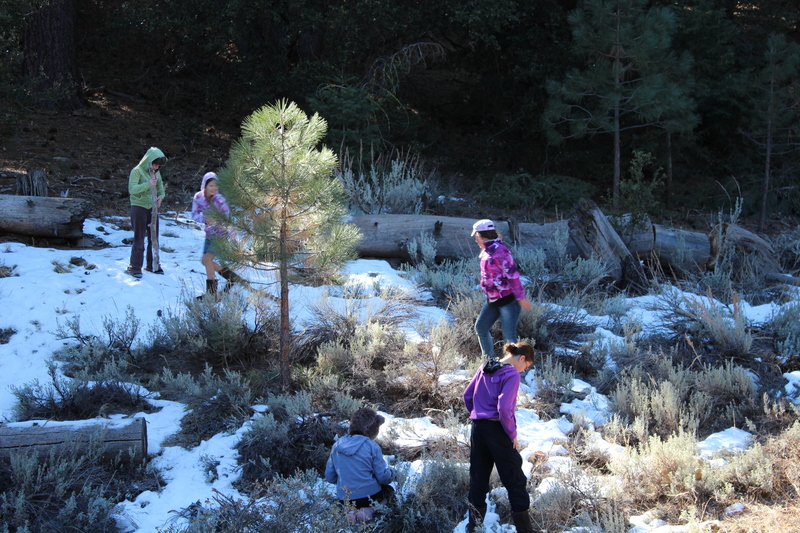 There was some remnants of an earlier snow dump, so on the way home, we stopped off for a bit so that the girls could play in what snow there was. One thing we did notice about the pine forests, was that they were essentially just that, pine forests. The mountains were quite sparse in some areas and not in anyway as dense as the New Zealand bush. It was still very beautiful though and you can’t help but marvel at the creative genius of our wonderful God who graciously allows us to enjoy His creation. The house we stayed at was a very comfortable and warm three level house which we were able to rent at a discounted price – which suited poor students like us! The house was on a hill which gave us quite magnificent views of the valley, the township and the local golf course. It was a relief to be able to take a break from apartment living, albeit for three days, to spread out, relax, play games, listen to music, go for walks (on the road) and sit around the fire at night roasting marshmallows. “Wow” – well, that’s what we all said when I read out the bit about how ‘NOT to leave your children or pets in cars’ – EEK!!! Praising God for the safety of New Zealand – just a couple of spiders to watch out for, and the odd ‘car shark’! Great to hear you folk have been able to get together and enjoy each others company. My brother and I went to the Cemetery Circuit in Wanganui on Boxing Day to watch the motorcycle races. Awesome day – very hot – that goes for the weather and the racing! We have lovely wives to allow us the time together – ‘boys day out’. My brother (Blair) and his family were over form Brisbane for a holiday at home (NZ). Oh well, keep up those studies boys. Keep warm my friends. Take care.